Stratefic Geography and the Changing Middle East came out in 1997 so some information about the region has changed since then but the book provides a sueful introduction into the issues of the middle east such as the importance of oil and gas in the region and these issues have influenced attempts to control the region. The book also focuses on military planning and operations such as the Gulf War andWeapons of mass destruction. Obviously, this book is not fireside reading and should be seen more as a reference. Nevertheless, as the authors argue, whatever theory of international relations you subscribe to--clash of civilizations, multipolarity, etc.--the Middle East remains square in the middle of it all and needs to be better understood by the average citizen. If Sept. 11 didn't drive that little lesson home, I don't know what will. It was fascinating to see how the lay of the land shapes a region's history and even the attitudes of its residents. The book gives ample attention to not just topography, but climate, resources, migration, and how all these factors shape policy and the movement of armies. FIRST: A very important note! As I file this review today, I see 2 other reviews on Amazon, both written in 2007. Those comments -- one praise and one criticism -- are NOT referring to this new edition released in late 2008. Bravo to Dan Smith and the atlas gurus at the University of California Press. As a journalist specializing in covering religion and culture for leading U.S. newspapers formore than 30 years, I can tell you: It's volumes like this one that people should keep on their personal quick-reference shelves. That's especially true for preachers, teachers, small-group leaders, students -- and, really, anyone who cares about accurately understanding our turbulent world. One sign of how much Smith and the University of California Press care about the accuracy of their work is the fact that this is a new Revised and Updated Second Edition of the book, coming quickly on the heels of the first. Smith is head of a UK-based peacemaking group International Alert. He has created other important reference works, including "The Atlas of War and Peace." The Press is publishing an entire series of innovative atlases. Among my own favorites are "The Atlas of Religion" and "The Atlas of Food: Who Eats What, Where, and Why." Americans have the illusion in the early years of this new century that we carry the world in our pockets 24-7 with our ultra-connected electronic devices. But the truth is that "foreign news" is the most rapidly shrinking area of U.S. news coverage, overall, according to Pew data. What we see, hear and read is really a tiny slice of global news mostly about consumer products and popular culture, occasionally spiced with disconnected splashes of coverage from global hot spots. We wind up with bizarrely skewed impressions of the world -- and most of us sadly fail the basic geography tests that are popularly distributed each year. For example, most of us in America can't correctly place Iran on a global map. In stark contrast to that challenge, this book is not only a source of useful wisdom -- but it's also downright fun! It's colorful. It's intriguing. You can build clever quizzes from this book to engage students. Go on -- get it. And contribute to peacemaking simply by knowing a little more about our world. Unfortunately, the care and attention to the maps that went into previous works by this author (I think here especially of his 1982 collaboration with Michael Kidron, "The War Atlas",) does not seem to have gone into this one.The maps have some glaring errors in them -- but apart from that, instead of letting the maps tell the story (as is done in "The War Atlas" and "The State of the World Atlas",) the author instead relies mostly on text to tell the story -- text that does not seem to have been extensively researched.I even noticed a few typographical errors in my copy. This is probably useful as a starting point (and ONLY a starting point) for someone with absolutely no knowledge of the Middle East, but I wouldn't take any of the numbers offered here to the bank. The Middle East is a major focus of world interest. 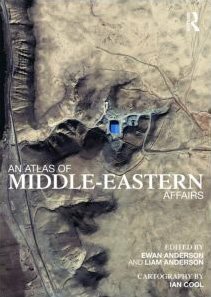 This atlas provides accessible, concisely written entries on the most important current issues in the Middle East, combining maps with their geopolitical background. 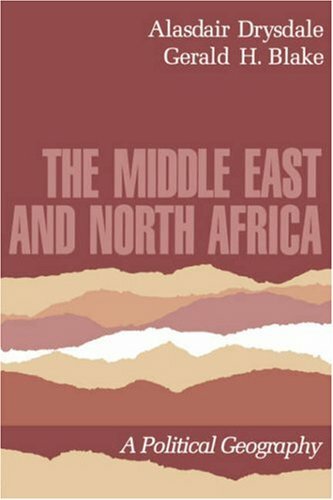 Providing a clear context for analysis of key concerns, it includes background topics, the position of the Middle East in the world and profiles of the constituent countries. a comprehensive further reading section, enabling students to cover the topic in more depth. 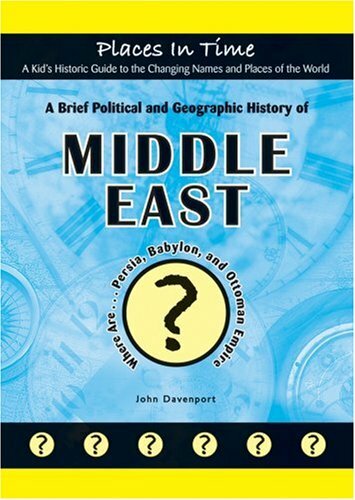 A valuable introduction to undergraduate students of political science and Middle East studies and designed as a primary teaching aid for courses related to the Middle East in the areas of politics, history, geography, economics and military studies, this book is also an outstanding reference source for libraries and anyone interested in these fields. 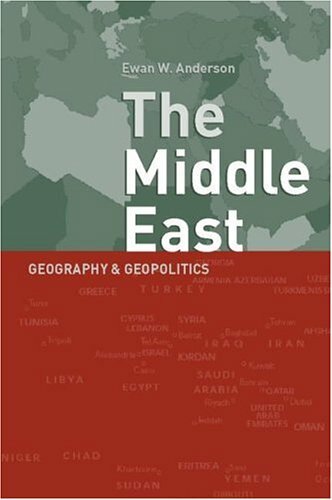 Now in its fifth edition, Middle East Patterns continues to be the most comprehensive and authoritative geographical study of the region. New coauthor John Thomas Cummings joins Colbert C. Held in updating this classic work while retaining the well-received framework of past editions. 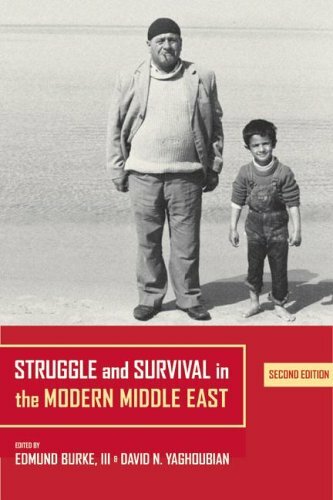 The authors first cover the Middle East from a topical perspective, considering the region’s biophysical, ethnographic, economic, and geopolitical patterns, and then provide in-depth country-by-country coverage. The fifth edition maintains the book’s distinctive focus on geography, natural resources, and land-use patterns while integrating updated comparative material on development economics and political economy throughout the book, as well as new sections on terrorism and piracy and the effects of development on women’s health issues. 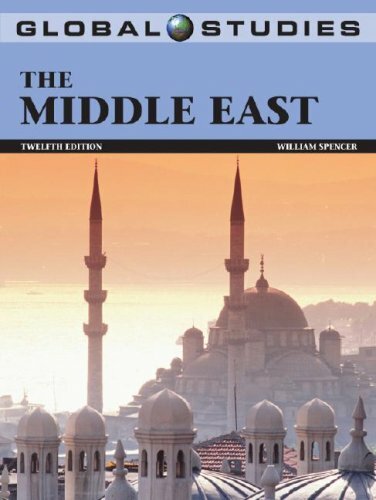 Richly illustrated with more than 100 photos and 60 maps, this acclaimed book remains the best accessible resource for students and general readers who seek to understand the spatial dynamics of the Middle East. 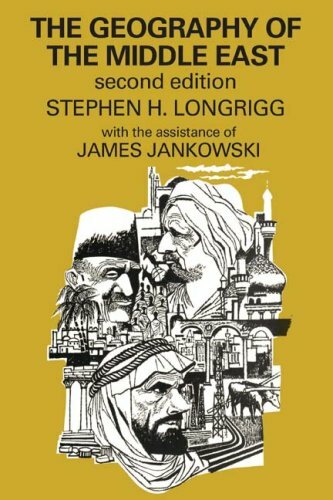 Short of understanding Islamic history - nothing else could explain the middle eastern countries better.I am basing my review however on the 4th edition, it was soo good, when I discovered a revised edition was out - I had to get it for reference. 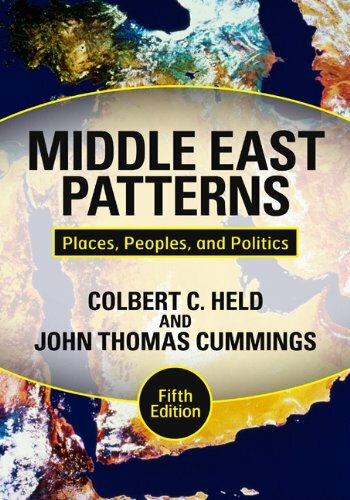 As author of Middle East Patterns, I'd like to point out that the paperback and Kindle edition is the fully updated fourth edition, published in 2006 (not the third edition and not the 1989 first edition as currently listed on Kindle). 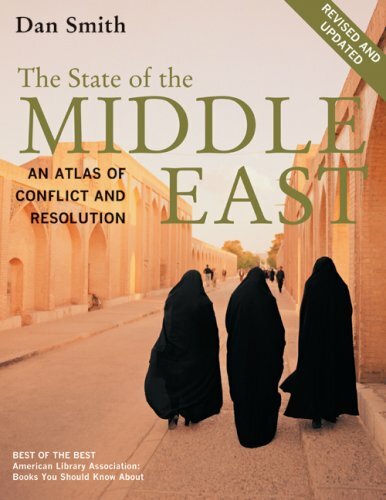 The book is based on my 20 years of experience in the Middle East as a diplomat and geographer and includes scores of updated maps, tables and pictures. 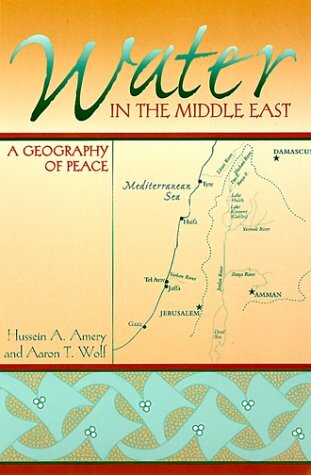 Middle East Patterns covers key topics--oil and gas, ethnic groups and languages, religious and water conflicts. 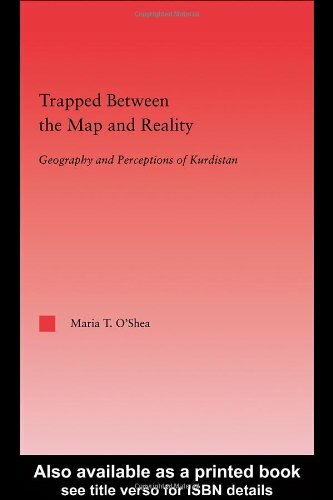 It also includes chapters and maps on all sixteen Middle East countries from Turkey to Iran, including Iraq, Saudi Arabia, Egypt, the Gulf and Israel. Designed for any reader who follows the news or is planning to travel to the area, it is especially useful for university students, teachers, diplomats, government and not-for-profit representatives, and business executives. Energy insecurity is not normally associated with the Middle East. However, away from the oil-rich Persian Gulf, the countries of the eastern Mediterranean are particularly vulnerable. Their fossil fuel endowments are low, while their fractious relationships with each other have long fostered wider political insecurities. Focusing on the Jordan Basin (Israel, the Palestinian Territories, Lebanon and Jordan), this timely volume addresses the prospects for the adoption of renewable energy in the oil-poor Middle East. Featuring regional energy experts, it offers an invaluable survey. 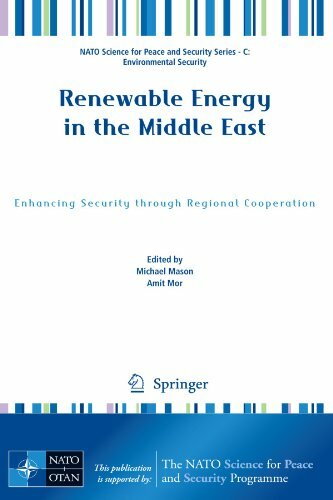 After outlining the regional security context, this book first reviews renewable energy policy and practices in the Jordan Basin. It then considers options for greening energy use, including promising pilot projects in North Africa. The initiatives discussed encompass renewable energy finance, energy-efficient rural communities, and solar and wind energy. There is significant potential for an increase in the uptake of renewable energy technologies in the eastern Mediterranean. This window of opportunity has been created by high oil prices, energy infrastructure investment opportunities, and the UN climate change regime. In conclusion, the book considers the institutional conditions for collaborative decision-making on renewable energy. Such cooperation would deliver substantial security and human development benefits to the region, and indeed the world. CROSS REF DEV STUDIES Both Africa and the Middle East have sought alternatives to Western models of development. The last twenty-five years have seen political independence for the states of Africa and increased economic dependence on external aid. The Middle East, resource rich and water poor, continues economically robust but politically unstable. In both regions, widespread poverty continues as does the involvement of the West. 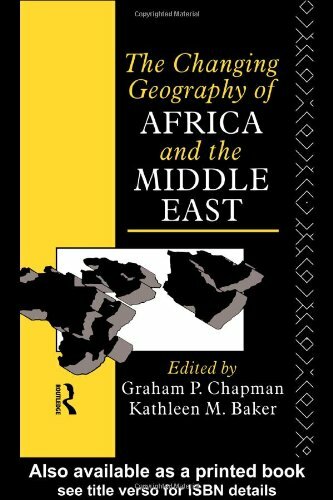 Clearly illustrated with basic maps of the countries discussed, The Changing Geography of Africa and the Middle East presents a systematic review of twenty-five years of development. The book will prove an invaluable guide to the physical, economic, social and political environments of contemporary Africa and the Middle East. The Royal Asiatic Society, founded in 1823, was the main centre in Britain for scholarly work on Asia in the nineteenth century, and has been a publisher since 1829. The Muslim World 1100–1700: Early Sources on Middle East History, Geography and Travel is the second collection of RAS Classics reissued by Routledge in association with the Society. The first, the five-volume Theology, Ethics and Metaphysics (978-0700-71670-8), was published in February 2003. Our GLOBAL STUDIES Series provides students with comprehensive background and current information shaping regional cultures and countries of the world today. Each volume features country report essays and maps as well as relevant articles from world-wide publications. Gives a good view of the Middle Eastern countries, which to the contrary belief does encompass some countries in Northern Africa. The countries of the Middle East and North Africa face booming populations and demographic changes that will have huge consequences in the socio-economic and political spheres. Human Capital offers a guide to the many and varied issues that policy-makers will face in addressing this challenge. 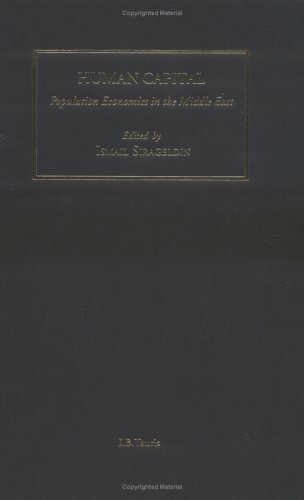 The book, organized country by country or sub-region and supported by new statistical data and fresh analysis, covers issues of demography and development in the Middle East, the capital value of rising populations, the workings of the labor market, and the impact of migration and urbanization on the region.